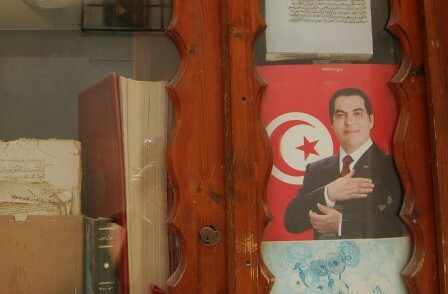 Autocratic governments across the Middle-East are watching the events, quickly unfolding in Tunisia after the toppling of Ben Ali by a popular uprising, with anxiety and fear. In Algeria, Egypt, Jordan, Morocco, Syria, Yemen, Libya and even the Emirates and Saudi Arabia, the Arab autocratic rulers have a new fear: a popular uprising from their own respective oppressed populations inspired by Tunisia’s Jasmine Revolution. 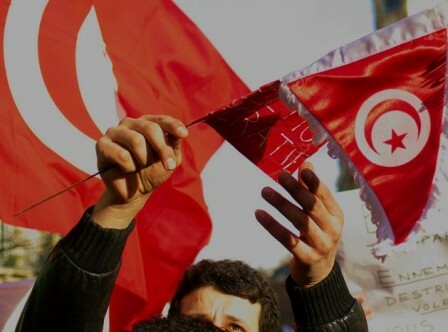 In Tunisia, the army has sided with the new government against Ben Ali’s own security apparatus. Ali Seriati, the security chief of Ben Ali has been arrested for plotting against the new leadership. Ali Seriati was a key figure behind the power of Ben Ali’s authoritarian regime. It has been confirmed by most credible reports that Ali Seriati “security forces” were responsible for staging looting and violence in the aftermath of Ben Ali’s departure to Saudi Arabia in the hope of creating favorable conditions to set up a coup allowing Ben Ali to come back to power. The Jasmine Revolution is setting an historical precedent, which is making all the dictators in the region very uneasy. It is the first popular uprising to succeed in removing a president in the Arab world, and it is very quickly becoming an inspiration for all Arabs. It is also a secular movement, at least for the time being, ironically inspired by the principles of the former colonial power’s (France) own revolution. The French revolution motto of “Liberty, Equality and Fraternity” could summarize what drove Tunisians to topple Ben Ali. In Algeria, a man has died after setting himself on fire, echoing the self immolation that triggered the uprising in Tunisia. 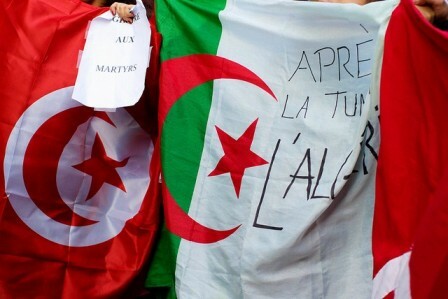 Several Algerian towns, including the capital Algiers, have experienced riots in recent weeks over unemployment and a sharp rise in food prices. In Yemen, Ben Ali’s ouster is also emboldening the Arab street. On Sunday, thousands of protesters marched in the capital Sanaa, in solidarity with their Tunisian brothers, urging Arabs to rise up against their leaders like the people of Tunisia. They called on the Arab people to “wage a revolution against their scared and deceitful leaders”. A banner read “leave before you are toppled”. In Libya, autocrat Gaddafi said on Saturday, in a speech on state controlled television, that “he regretted the fall of Ben Ali”. “The bloodshed in Tunisia was for nothing, and Ben Ali is still the legitimate president” said Gaddafi. Gaddafi was one of the only Arab leaders to voice his support officially for Ben Ali. In Syria, the daily Al-Watan said the events in Tunisia were “a lesson that no Arab regime should ignore”. “Arab leaders on sale to the West should learn from the Tunisian lesson. They should make decisions according to what is favorable to the interest of the Arab people,” said the editorial of the Syrian daily. In Israel, the events unfolding in Tunisia are viewed by PM Netanyahu as a “sign of political instability in the region”. “The region in which we live is an unstable region. Everybody can see that today. There can be changes in government that we do not foresee today but will take place tomorrow,” said Netanyahu. However what PM Netanyahu should already “foresee” is a growing unity of the Arab street across national boundaries, and this time not in the name of Islam fundamentalism, but for the sake of real democracy. For decades, the West policy in the Middle-East, with the United States in the lead and Europe in a supporting role, was to shore up authoritarian regimes like the one of Ben Ali in Tunisia or Mubarak in Egypt. This geopolitical calculation in favor of a so called “stability” but at the expense of any real democratic process is backfiring as we speak. Israel should be concerned indeed about the Jasmine Revolution. If similar revolutionary movements spread successfully around the Jewish state, the new governments formed and presumably united will have no hesitation in fully supporting their oppressed Palestinian brothers, and will challenge Israel with a formidable force. 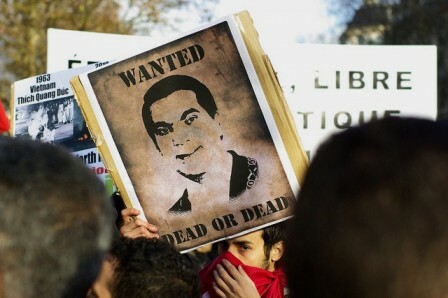 January 14, 2011 Tunisia: Will Ben Ali’s Resignation Inspire Revolutions In Other Arab Countries? March 4, 2011 Arab Revolution: Is Iraq Next? Nice article Mr Mercier! 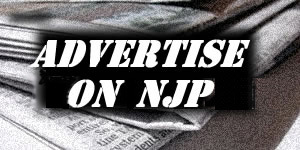 We need more articles like yours! Thanks for your kind words, Nema. I am trying to offer our US readership a different and more comprehensive perspective. Two days ago, a US reporter from NPR news (usually a fairly good US media news outlet) described Ben Ali as a “benign ruler”. As I am pretty sure you know, Ben Ali and his thugs were/are nothing but benign. “The region in which we live is an unstable region” : I’m not sure how far Netanyahu thinks his region spreads, but Tunisians sure as hell don’t consider themselves from the Middle-East. This is clearly another attempt from the Israelis to foster fear and hatred against any and all arab countries in order to maintain the satus quo. It’s good to see dictatorial strongmen ousted by popular resistance. I hope his ouster proves beneficial to Tunisia in the long-term and for the entire region of Africa and the Middle East. Go Tunisians, freedom from political abuse, silencing of your speech or your freedom to express, the freedom to elect your own leader. A leader that will NOT subdue you to years of abuse or nominate himself President For Life as his military police Humvee’s roam your neighborhood looking for opposition and silencing their voices in the middle of the night. Wonder if Beck will claim that this is Soros trying to overthrow a government? You’re correct that I was being sarcastic. Thank god Soros was helping popular pro-democracy groups battling repressive regimes led by Communist or former Communist autocrats. e.g. the ‘Velvet Revolution’ in the Czech Republic, the “Orange Revolution” in the Ukraine, and the “Rose Revolution” in Georgia. I am not sure I would call Zine El Abidine Ben Ali’s administration a puppet regime, I don’t think he was anyone’s puppet. 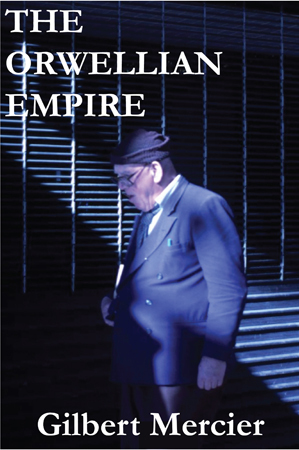 He himself was imprisoned for his resistance to French Colonial rule, and became President during another nonviolent coup. During his presidency he really turned around the Tunisian economy and development. I think this is more about growing pains, and the state of the global economy; the inability of Tunisia, and all states, to continue social subsidy. And I personally do not think that it will be the last revolution. It could hit a number of european countries whose austerity measures are destroying the social cohesion of the country. If it were not for the mass emigration from Ireland and the Baltic states I would suspect that they would have had even more domestic troubles. Opression always lead to revolting. It is never a mater of if but when. I lived for 27 years in the middle east. I have been to most of the arabic countries. Freedom and Democracy do not exist. Freedom and democracy are the biggest two enemies fir most if not all regimes in the middle east. Sadly, most of these regimes are considered allies to the US. The US talks about spreading freedom and democracy with big statements, but support on the ground all these dictators. I only hope that Tunisia is just the beginning. 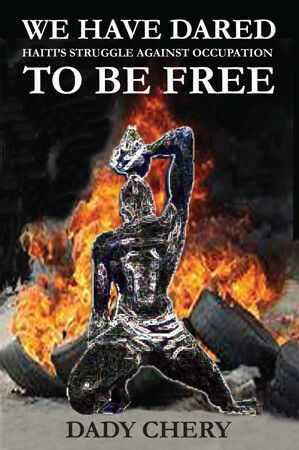 Every one is entitled to be free to express his thoughts without fearing the brutal retaliation from the police states.